MTG Fiction: What's Next, Post Scars? My first Read Through is complete. What's next for MTG Fiction? 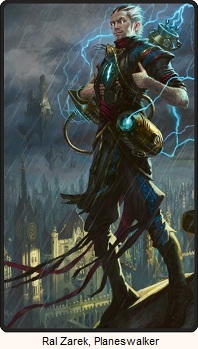 Considering how much I appreciate everyone who is joining me during this beta stage of mtgfiction.com, after I finish Agents of Artifice, I'll be diving straight into Ravnica Block. No new Poll where Ravnica might take 2nd once again. Note: I was doing some googling the other day (and dodging major spoilers), and I discovered that Jace is from Ravnica, and his book takes place after the trilogy. If people want to put reading my Agents of Artifice chapter by chapter Read Through on hold until after Ravnica Block is finished, so you can get the story in chronological order, feel free. But you don't have to stay away completely. There will be some non-Agents of Artifice content posted on the site at the same time. What kind of content you ask? We're Not Done with Scars Yet! Before I write up my full reviews of the Scars of Mirrodin: The Quest for Karn, I need to take a step back and see how the whole thing was put together. I posted my impressions in the moment, but now it's time to take a more analytical look at things. Definitely there will be some character and plot analysis now that I know the complete story from start to finish. I'll be revisiting what I thought was foreshadowing and/or red herrings and taking a look at where those paths actually lead compared to my expectations... and pointing out where it all went wrong or got lost along the way. There is just too much in this book to talk about still. I'm not done with it yet. Once some of that stuff is done, I should have everything I need to write good solid reviews. Both one with spoilers and one without. 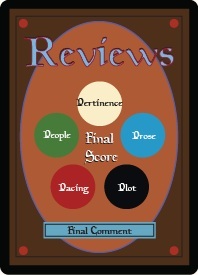 This is the first official book review for the site, I gotta take my time and do it right. Although the fact of the matter is that it can be summed up in one sentence: It was the worst book I have ever read. Come back tomorrow for my State of MTG Fiction 2011 editorial. The first of what I hope to be an annual article regarding both the state of mtgfiction.com and the state of the fictional universe of Magic: The Gathering. Friday is when I start cracking open Agents of Artifice. If you can't wait that long and are dying to learn about Agents of Artifice this very instant, I have the Primer page all set and ready to go, which includes the trailer video for the book as well as a interview with the author. There's even a link to magicthegathering.com to read the Prologue and Chapter 1 if you want to get your own first impressions before reading mine.